Be someone for someone. Your time and talents can make a big difference for our Club Kids! Just one or two hours each week can make a real difference in a young person’s life. 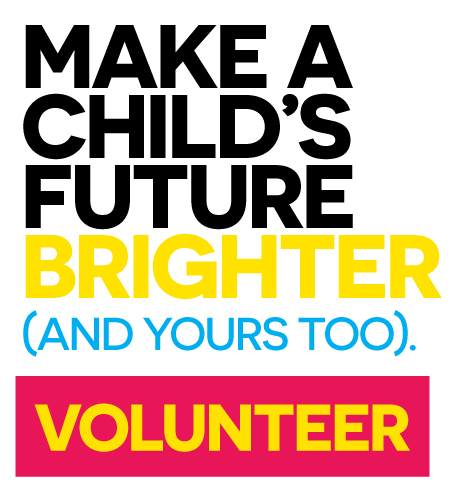 As a volunteer, it can make a real difference in your life, too. Volunteers are needed to serve as mentors, tutors, coaches, art and computer teachers and more – you tell us your interests and we’ll match you with a Boys & Girls Club near you. Review our list of opportunities below, or contact our Volunteer Coordinator for more information. Volunteers are asked to make a commitment of one hour, once a week, for at least a three month term. Don’t have time to volunteer on a regular basis, but still want to give back? Please inquire about our special event volunteer opportunities! We have volunteer opportunities at all seven of our Clubhouse locations throughout Carmel Valley, Del Mar, Encinitas and Solana Beach, as well as at our special events located throughout San Diego County. Volunteers are required to fill out a one-page volunteer application. When completed in full, hand your application in or email it toAbraham Rodriguez, our Volunteer Coordinator at arodriguez@bgcsandieguito.org. Once approved, our volunteer coordinator will work with you to match you with one of our many volunteer opportunities that suits your skills and interests. Do you enjoy providing one-on-one and small group educational support for kids and teens? Lend us your time and brainpower during our Power Hour program, a homework help enrichment program for elementary-level and teenage-level Club members. Do you have a special skill or passion you would like to share with our members? We are seeking volunteers who are interested in facilitating their own program, activity, or presentation at the Club! You will get to work with staff to plan details, logistics and scheduling to facilitate your program! Like getting your hands dirty? Our Center For a Healthy Lifestyle is the place for you! Kids have a blast planting and harvesting in one of our two organic gardens, then preparing dishes in our professional teaching kitchens. Be part of the recipe by lending a hand in the garden or kitchen! Lights, camera, action! Are you passionate about the performing arts? Follow the rock and roll sound straight to our Youth Arts Academy, where kids enjoy music classes, rock bands, private lessons, dance classes, and theater programs after school. All designed to stimulate growth, creativity, and self-expression. Put me in coach! Are you the happiest when you’re on the court of the field? Our athletics program is home to a wide variety of sports leagues, sports camps, and athletic activities for youth of all ages. Join the team by volunteering to keep score or assist our coaching staff in mentoring our youth to become positive athletes on and off the court. Do you love being by water? How does two competitive length pools sound? Enjoy the splashing sound of our award winning RSD swim team and youth swim lessons while helping our aquatics staff run the snack shop and provide help within the aquatics office.